In 1998 I took an acrylic class with Vicki Peters. I had read about her in my two professional nail publications and was looking forward to the class. 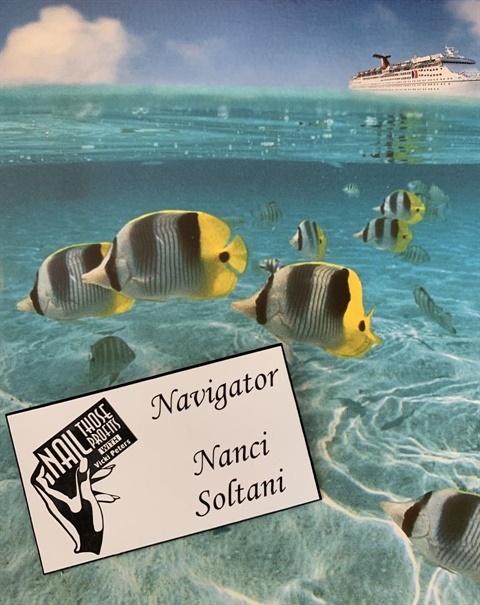 She mentioned the upcoming Nail Those Profits At Sea Cruise and thought it was something I would be interested in. Fun and educational! Two of my salon mates were “on board” with the cruise idea so off we went on a nail adventure. I had no idea that my love of nails was about to elevate to a whole new level. Vicki Peters on a cruise. 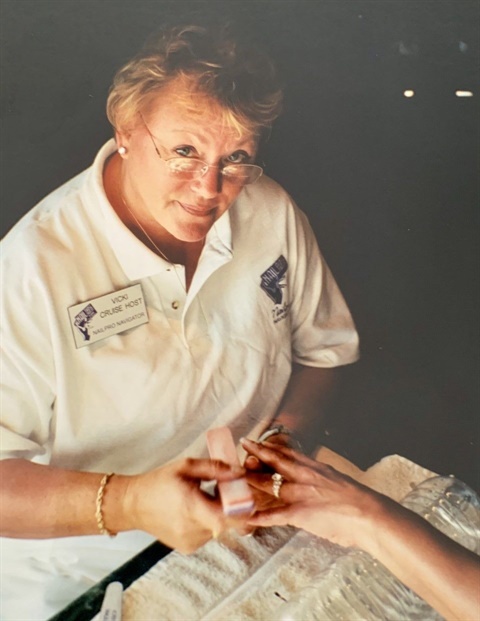 As the cruise leader, Vicki Peters and her nail “Navigators” made sure everyone was included and comfortable as soon as we were onboard the ship. On the cruise I met so many nail techs from around the U.S. and a few from Europe, too. We all had one goal in common: to learn all we could about everything “nails” and have some fun in the sun! The classes were amazing and the educators were eager to help everyone at all skill levels. I returned from the cruise recharged and full of excitement. I decided right then that I would make this my educational priority. With the exception of a few cruises, I have made this happen throughout the years. This year we celebrated the 25th Cruise with NTP. Although Vicki is no longer at the helm, the Cruise continues on. The education is still top notch with a variety of classes each year. It is always so fun to meet the first-time nail cruisers and make new friends and to reunite with former cruisers.